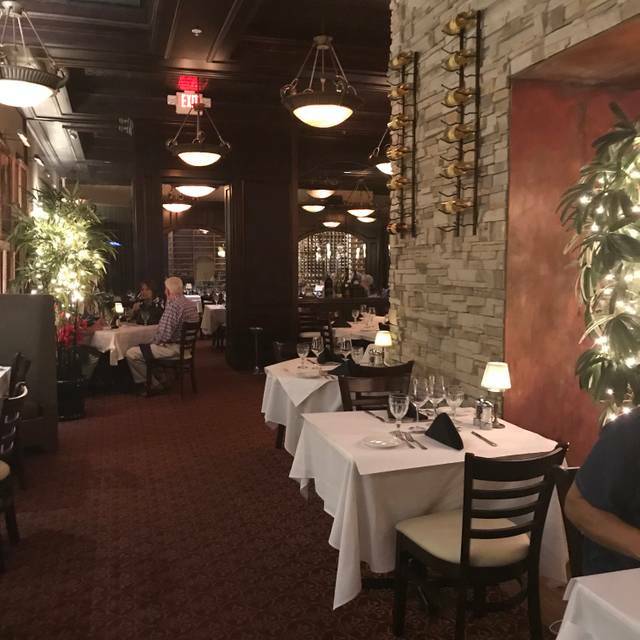 You must make reservations at least 5 minutes in advance of the time at K-Prime Steakhouse. 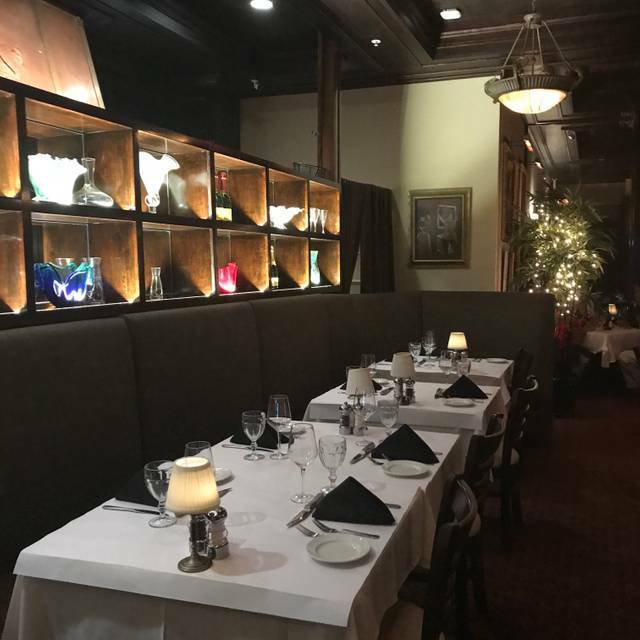 K-Prime Steakhouse has been designed to capture the atmosphere of a traditional neighborhood steakhouse. Happy Hour 4-7pm daily with special happy hour menu and reduced drink prices. Start your dinner off with one of our appetizers. The Escargot & French Onion Soup are two popular dishes. Steak at $60 ordered medium came out with very RED interior when cut. You would think a Steak Restaurant could properly prepare a NY Strip. The meats were excellent, however the mushroom side was not very good. they were all stems very little caps. The asparagous side was much better. a small salad with the main course would have been a nice touch. 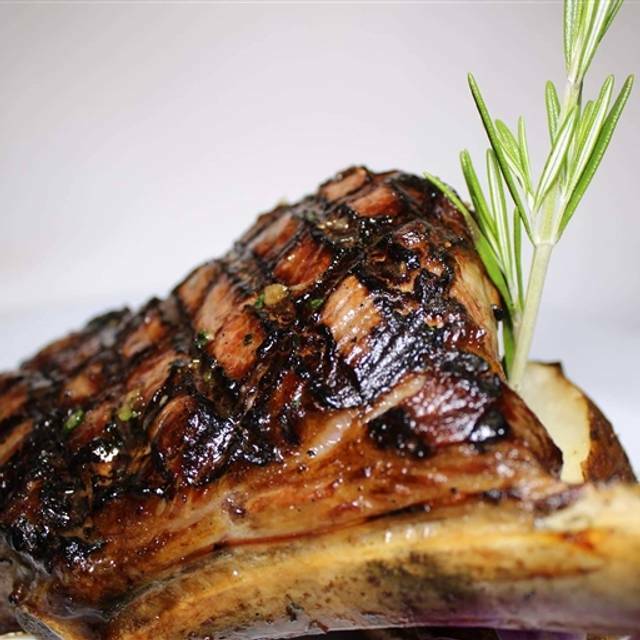 Delicious prime rib, friendly, knowledgeable staff, great wine list, inviting decor, easy parking. What’s not to like? Very pleasant experience. Food and service were outstanding. It was very enjoyable !! Overall K-prime was a typical higher end steak house but felt dated and uninspiring. Our server Micheal did a good job in meeting our needs with timely and good bar service, special handling in serving our salads and providing targeted descriptions of the specials and his recommendation based on our discussion of past Anniversary dinners we have enjoyed over the years. Unfortunately not all the food meet those standards. The escargot appetizer was excellent, the "medium rare" Filet was overcooked to the point that on end it was so charred it was not edible; the special "snapper Oscar" was great but a side of mashed was overly seasoned with garlic and grainy. We chose the Creme Brulee desert but it was literally runny-raw and inedible, the replacement chocolate cake desert was also sub par (in this case baked so hard it was difficult to even fork apart. We will give K-Prime a second chance some day but not for a while. One of our steaks needed to be returned as it was badly over cooked, considering it was $48 i would expect better. The restaurant is very dark and only two other tables were taken while we were there. Everything and everyone was great. Denise was fabulous and very helpful with her recommendations. We would definitely go back. We had gone several times when it was Stoney’s; first visit under the K-Prime name. Brought my brother and sister-in-law who were visiting. Food and everything else very good. We do miss the large chairs and the pillows they used to get you at the best height etc. for the table. Amazing place!! Can’t believe it wasn’t more crowded...!! I must say it has become my favorite restaurant before taking friends to the theatre. 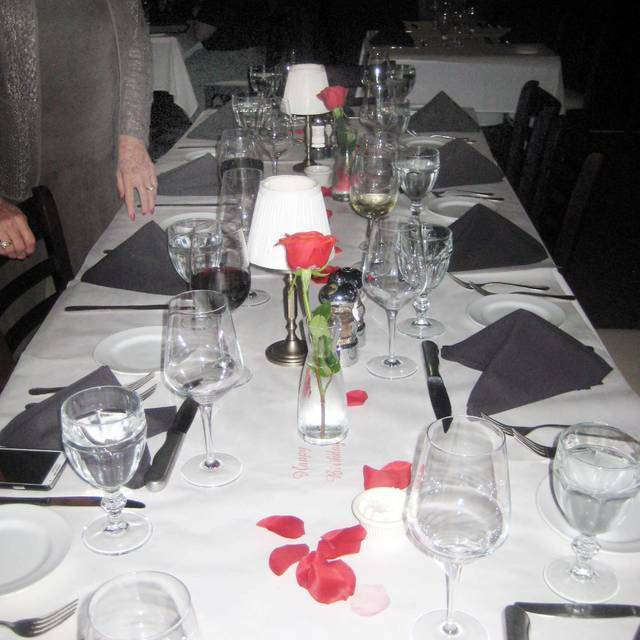 The food and the extra special service provided by our Server Anthony was a great start to a wonderful evening. Really enjoyed a fine prime rib dinner with attentive, friendly service! Our service was slow, over an hour to get 4 entrees, and the restaurant was not completely full at the time. Vegetables arrived burned, servers who brought the food didn't know which plate belonged to which guest, and the baked potatoes had incorrect toppings. The prime rib was good, but that was the only positive of the evening. Prime rib tough. Pasta and beef no taste. Service poor. Onion soup good. We celebrated our 44th wedding anniversary along with another couple celebrating their 41st anniversary a couple of days later. Everything was perfect from the food, the service by Anthony and the ambiance. The manager gave each couple a complimentary slice of chocolate cake that was scrumptious. We will return. Food was wonderful. Best prime rib I have ever consumed. The only problem was the manager decided to close when we had not even ordered. The writer was told to tell patrons that they were closing at 9 pm. The waiter was embarrassed to say the least. He said that it had never happened to him in his long career. Too bad. The place was dreadfully quiet so maybe that was the reason. Sophisticated classic elegance with a live singer & attentive staff. Food was excellent and same quality as when it was st. Germaines. Price was half as much if we were to eat on 5th ave steak house. We love this place & will continue to share this with our friends. 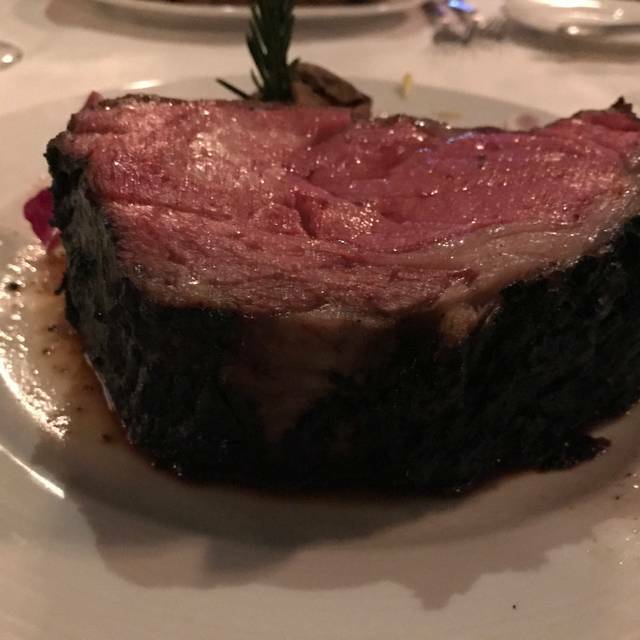 The Prime Rib is top notch. 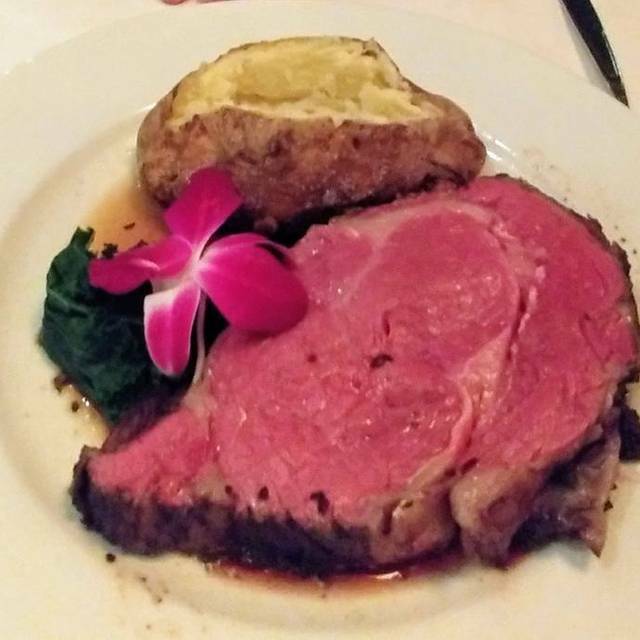 It is the best Prime Rib to be found in South Naples. I've been there probably 25 times with very good experiences. Tonight was an exception in every aspect. The resturant was under staffed so the service was terrible. When the food was finally served it was absolutely gooked to death. Don't know what has changed but if it doesn't get straighten out I'm a former customer. On March 14th We we’re embarrassed and our evening with our special Guest was ruined. First our Prime Rib that was ordered came out over Well Done. Upon taking our Dinner back Hot Juice was spilled down the Back of our Guest on her Jacket and into her Purse. They did try cleaning it off her however damage was done to both. One of my Guest ordered another type of Meat and it was finished before we received another type of Meat. They offered to discount our Meal by $ 100.00 but they did not post it on my Citi Card. Total Bill was for $ 455.00 and I have filed a complaint with Citi Bank. No action Yet. They did not offer to ay for cleaning or damage and have not contacted me. They do have my contact information. I would like to Pay for our Drinks, Oysters, and Soup but feel that our Food should be taken care of. We arrived at 5:30 and by the time our replacement Food arrived we were the last customers in the Restaurant. Waiter was very concerned but Management Failed. I would have filed a complaint sooner however I have been on a Federal Deployment for a Month out of Country and did not know they did not provide credit to me. Wonderful waiter. Excellent prime rib. Sat in patio, which is quite nice. Music kind of loud but not too bad. Every part of what we ordered was very good and service was great. Everything is as it was they first opened. Glad the original owners are back. I do miss the large chairs and pillows. The staff did a great job and was very attentive. The food was pretty good however I don’t feel it justifies the high price tag. Birthday event. Second time this week that I visited K Prime. Anthony made it special for the Birthday girl. Thank you. Everything about the evening was outstanding. We called to say we were running late for our reservation. That was not a problem. We valeted with a pleasant young man named Vincent. Once inside we were greeted by a delightful hostess who directed us to our table. William took over from there. We couldn’t stop remarking to each other all dinner how good the whole experience was. William and his assistants we always available when we needed them. It was really that good. So good that it’s late in the evening and I’m leaving this review, which sadly I seldom do. 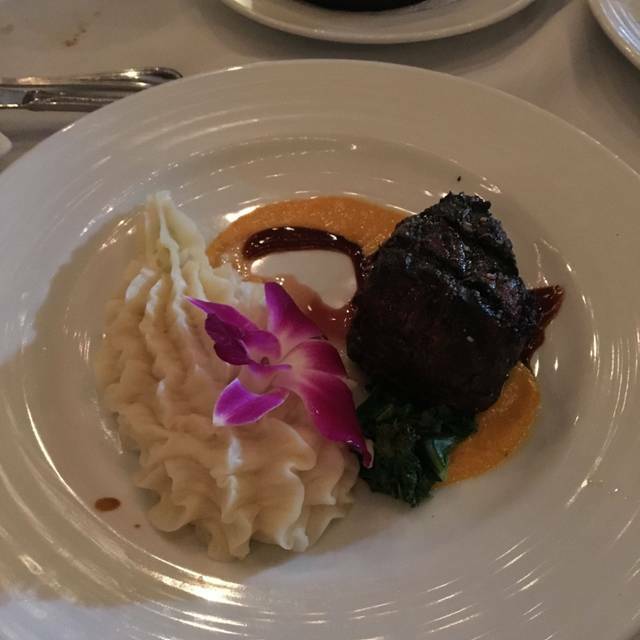 When I have the opportunity to go out to eat again, it will be at K-Prime Steakhouse. You can bet that I’ll be telling others about our great night out. We had a very nice dinner. Food and service was excellent. I’m not even done eating my dessert while starting this review!! I will start by saying this past week we have eaten at the best rated restaurants, steakhouses, and those known for their seafood! Our dinner tonight at K prime steakhouse was BY FAR the BEST we’ve had our entire vacation! Perfect ending to our trip! The service, and drinks were amazing from beginning to end! My husband started with a Caesar salad he loved, and my French onion soup was on point! I’m from upstate NY and French onion soup is my go to appetizer! Theirs was one of the best! The oysters Rockefeller were the best I’ve ever had- and I order them every time we travel south! We both had the prime rib- king cut! That’s 16oz cuts! My husband never finishes his, and I don’t usually order a steak that size, but thank god we did! We both finished every bite! The loaded potatoes were great that came with our meals and even the asparagus and hollandaise were great! We decided since everything was so good to get dessert- which we don’t ever do more than coffee- but we saw a cool act at another table and decided we’ll do that! The cherries jubilee was phenomenal!! We will most definitely be coming back! Anyone looking for great steak, great atmosphere, and phenomenal service must give this place a try! Hands down best dinner in Naples! Bill took great care of us! If you get him I’m sure your experience will be just as great! Needed no reservation. Plenty seating. Very, very good NY Strip. Outstanding French Onion soup. Called "the Crock". Will make sure we go back. Server Michael was very attentive and helpful with suggestions. K Prime has become one of my favorite dining establishments. 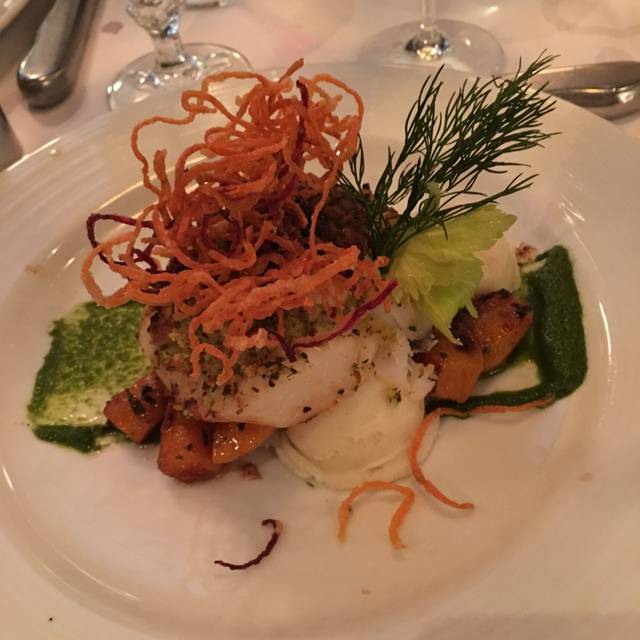 Excellent food and extraordinary service. One of the best meals we've had in Naples. Prime rib was excellent. Love the background music and friendliness of the staff. Just Great! Expertly prepared and wonderfully served! If you want a great Steak and great sides, this is your place! The “new” KPrime is very well done. While the menu remains the same, there are Additions to make it better. 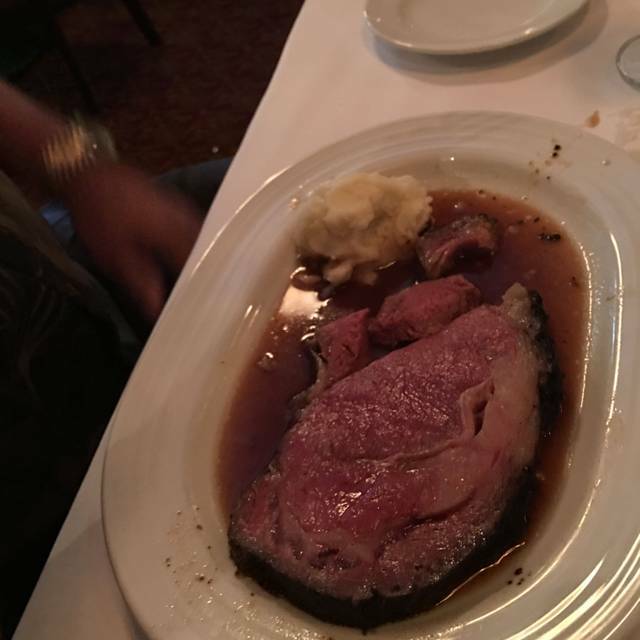 The bread service is now very good unlike the past, and the prime rib is again excellent and prepared perfectly. Our server Michael was exceptional! Highly recommend! Very disappointed. 5 of 8 in out party got Prime Rib. This is the specialty of the house. While the degree of well done was exactly as everyone ordered, the meat was so tough it was all but impossible to cut. One lady in our party could not take one bite. I called the waiter and told them no one would pay for more than one half of the charge for the meat which ranged from $42-$56 depending on the size. The waiter went to I assume was the MGR and he came back and said they would give us another cut. We had been there a normal time with drinks, salads, appetizers (maybe about an hour) and to wait for another cut for all of us and with all of us experiencing such tough meat, we declinded. PLEASE NOTE- THEY DID REMOVE THE CHARGE FOR THE MEAT FROM EVERY CHECK WHICH WAS ACCEPTABLE AND MORE THAN WE REQUESTED. However, we expected to get a grade of meat which would have been equal to the level of the initial charge. Unfortunately, it may have just been a bad roast from which each slice was made and other roasts they have might be great, but if you go out with an expectation it is hard to overcome a complete failure of 5 of 8 meals. Sweet potatoes came out cold but they brought out hot ones immediately. The menu was a fixed menu for Valentines Day. Unfortunately typical of special occasion dinners, we're not seated until 25 minutes after our reservation time and after 15 minutes sitting at our table without being visited by a server I had to contain to the hostess in order to be served. Once past that, we had a delightful and attentive server and the meal was great...just off to a bad start. TERRIBLE...where do I begin. Over half hour late to seat us for a 6:30 reservation. Left us sitting at the table for another half hour waiting for service. Waited long for appetizers, ordered two bottles of wine to find out they didn’t actually have what we ordered. We were looking forward to French onion soup but only could order the limited menu for Valentine’s Day, which was not posted online or we would not have gone that night. When our steaks came out, the mashed potatoes were cold and there was only one broccoli sprig. When I told the server, she said “ya I noticed that”. Well why did she bring it out?? She did bring us some asparagus in its place but again, cold. The $52 rib eye steak was not prime. Very stringy and tough. Other issues as well but needless to say the 8 of us will not be back. Owner wasn’t there. Big mistake.